In today's world we are perhaps more aware of the impact that our daily lives are having on the environment than we've been for some time – at least since the Industrial Revolution. As the reality of climate change is becoming tangible in various parts of the world with the ice caps melting before our eyes, we're all taking action to make a change. From electric cars to solar panels, there are a huge number of products out there to help us go about our daily lives without doing unnecessary damage to the environment around us. While there are technologies out there which allow us to reduce our carbon footprint, it's up to each of us to make the change. Transport is one of the most significant aspects of our lives when it comes to our carbon footprint. The cars we drive and the journeys we make determine the level of emissions for which we are responsible. 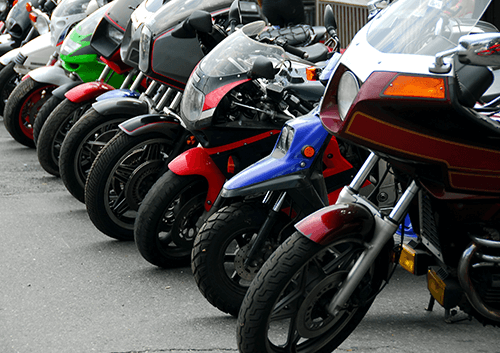 It's true that riding a motorbike is far better for the environment than most cars but that's not to say that it's entirely environmentally friendly. Just like cars, motorbikes burn oil based fuels which pollute the world around us and contribute to CO2 emissions and global warming. Not only do motorists need to consider the carbon emissions which are deposited through their exhaust but they also need to consider the entire process by which they fuel is made. Drilling for oil and transporting it around the world is costly, hurting both the planet and our wallets. For some of us, getting rid of our vehicle would pose a real inconvenience. If your area is not well served by public transport, it makes sense to use a fuel-efficient vehicle of your own in order to travel long distances. Life in the city, though, is generally very easy without your own vehicle. The benefits of switching from a motorbike to a bicycle stretch well beyond the environmental issues we've already mentioned. 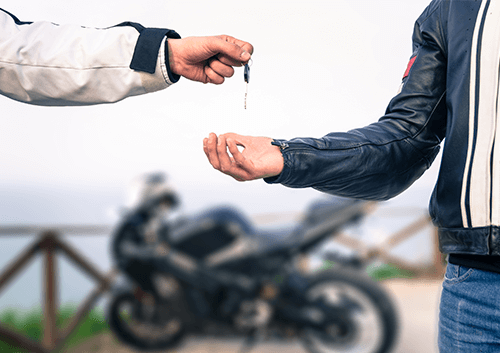 Selling your motorbike will see you saving huge amounts of money on insurance each year, not to mention the money you'll save on fuel. Cycling is also a great way to keep fit. 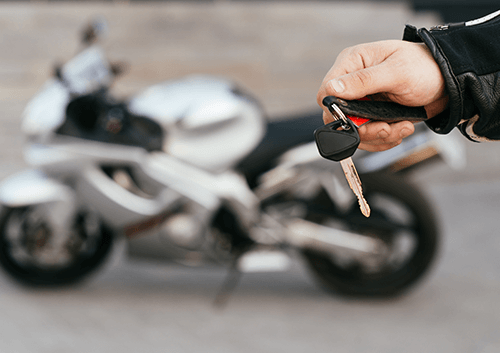 Even if you live just a few minutes from the shops, it can be all too tempting to jump on your motorbike to make life easier. Riding a bicycle on short journeys like these will reduce your carbon footprint significantly over the course of the year as well as having a positive impact on your physical health. The truth is that many of us could do without our transport very easily and if we chose to get rid of our vehicles we'd be making a hugely positive contribution to the campaign to reduce the impact we're having on the environment.